The first time I was ever fully immersed in a Tibetan community was in Bloomington, Indiana at a Tibetan Youth Cultural Camp organized by the Office of Tibet. I was fifteen years old, and had never spent very much time with Tibetan youth my own age. 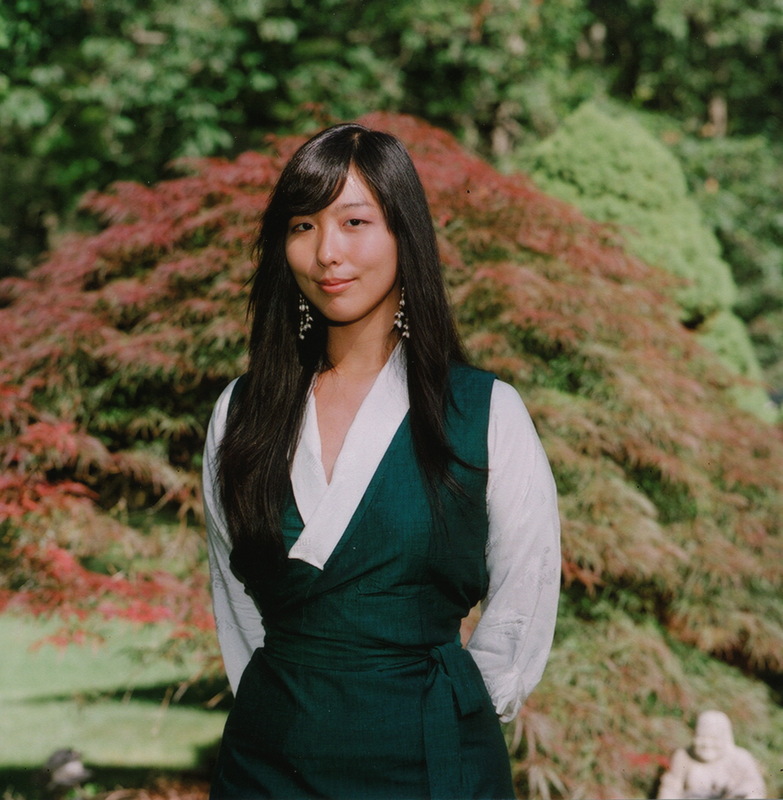 I was raised in a Kalmyk, Mongolian community in New Jersey and had only become familiar with Tibetan politics and culture through my father’s personal narrative and through my own involvement with Students for a Free Tibet. When I arrived at the sleep-a-way camp that lasted for two to three weeks with Tibetan middle and high school students from mainly New York, Minnesota, and Chicago I was thrilled at the excitement of being among Tibetan people. I thought this would be a great opportunity to find a new network of Tibetan friends I didn’t already know through my political activities. They would become friends who could teach me about the cultural norms of Tibetan society, something that I knew much less about. I was a little worried how I would be accepted as someone who is T+ (Tibetan plus something else, like me being half Mongolian). I did not, however, think it was going to be a problem that I didn’t speak Tibetan. I never noticed that my ability to speak Tibetan was absent because I had always been around Kalmyk Mongolians or Americans. I was horrified one day when one of my peers proceeded to to tell the other participants not to talk to me just because I didn’t speak Tibetan. She didn’t give a reason; she just tried to isolate me from everyone else. When I look back on it now, I realize that I had become the “Other.” That hearing her say that made me feel as though I had no place at that camp. I responded by making my own friends within the camp. The camp had thirty or so students, and I was a friendly person so I quickly settled into my own niche. I couldn’t help but remember that girl’s actions the whole time I was there, and will keep that moment with me for the rest of my life. Why did she try to isolate me? And why do some Tibetans still try to do this? I often find that through their isolation they are trying to force me to learn Tibetan, but I do not learn through isolation and through denial of friendship. I learn through my own want. I learn because I want to learn and because I think it’s good for me. Learning any other way I see is almost unhealthy. It may work and if I were a different person, maybe I would have complied and learned through force but I think that I would not have as much pride in the Tibetan language because I did not learn on my own. I learned because someone forced me to. At almost every Tibetan event since then I have always been really ashamed and embarrassed that I do not speak Tibetan. I never learned Tibetan growing up because my father who is Tibetan was working in a different state and I was raised in a Mongolian American community. There is a reason for me not knowing and it is because of displacement, because of my other identities, and because there were factors I could not help. I want to learn Tibetan so I can speak to my relatives who have difficulty speaking English. I want to learn because I would like to study the Dharma, and be able to understand what His Holiness is saying when I go to teachings, and sit in the audience and listen without translations. I would like to learn so that my children will speak Tibetan with me. I would like to learn because it would enable me to communicate with Tibetans around the world in our native tongue. I have my own reasons for wanting to learn Tibetan, and I do not need anyone else to make me feel less than myself to make me want to learn our language. As my Lhakar pledge, I will actively try to learn Tibetan for the rest of my life. I know that I will make the effort because I am invested in my cultural identity, not by force and not by being isolated from my community. that girl is an idiot. you can do it. I agree, narrow minded people like those need to see the bigger picture. I’m sure not all Tibetans are like that. Do learn at your own pace. However, don’t lose focus from your goal! Tibetans are human beings, I am sorry that happened to you. I agree with you, teaching by force works sometimes but if you have real desire to learn, we have to help you. I want to you wish good luck in your Tibetan studies. Please don’t lose heart, keep working hard. I am sorry that you had to experience that. I agree with you, forcing someone to learn Tibetan does more harm then good. I am currently part of the SFT-UW Madison, I tried to encourage the Tibetans in the group to speak Tibetans outside of our meetings. I would love to teach you Tibetan if I get the chance he he he, to show that there are Tibetans who are not jerks. Please continue your Tibetan Studies. Hello Bee. Base on your article, I can say that you have valid reasons why you don’t speak Tibetan. Thank you very much for being able to recognize your root of blood and willing to learn something that is connected with your flesh. You got to know that it doesn’t matter where u come from, but it matters how you walk away. You are future seed of Tibet and never loose the courage and remember that you have a responsibility for Tibet as we every single Tibetans have. Wish you all the best that one day you will speak flute Tibetan and lead the Tibetan struggle. Bhod Gyalo. very nice, very nice, i had a same reason when i first started learning tibetan, its worth learning it, now i enjoy reading reading text that were composed by great master’s of india and tibet, and greatly enjoy teaching of His Holiness. when i listen to His Holiness teaching, some time i cry, some time i laugh, and I feel deep devotion, peace and happiness. It is all because i can read the precious text of tibetan master and understand the teaching of His Holiness, you will too soon enjoy this if you learn tibetan, good luck. Don’t get discouraged by others, you can do it. Just keep practicing and you will become fluent. But, I must say, the lady in the picture is the most beautiful woman I’ve ever seen. Hey bee. This is your friend from the Academy. Wonderful post. Maybe when i get back, we can both start learning together. Stay motivated. Much love. This is a wonderful post. I have no doubt that you will learn to speak Tibetan. Your determination and your commitment to the cause speak a loud. i feel strong blood connection with tibetian people. some korean would be the same. i wish u the best luck and keep moving forward . i hope u meet wonderful soulmate in the future.